The Japanese payment system JCB and China UnionPay have refused to cooperate with the Russian SMP Bank, which fell under US sanctions. According to experts, this proves that Russia’s decision to transfer all transactions of international payment systems to domestic servers was the right one. 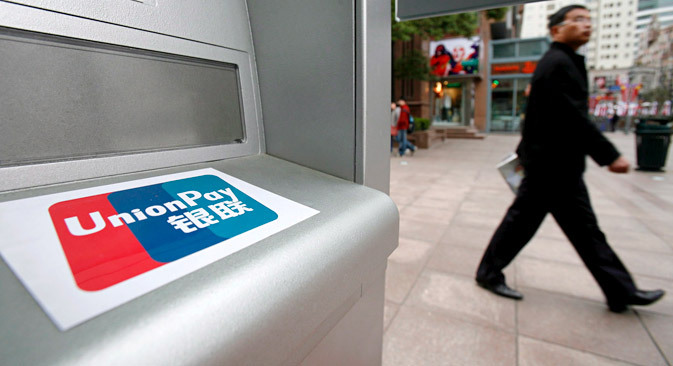 The Japanese payment system JCB and China UnionPay have refused to cooperate with SMP Bank, which comes under US sanctions, business newspaper Vedomosti reported. The report cites the bank's vice-president Yelena Dvorovykh as saying that the talks lasted for two months, but the payment systems turned down the bank’s request without any explanation. In April 2014, SMP Bank, presumably controlled by Arkady Rotenberg – a Russian oligarch believed to be a close friend of President Vladimir Putin – was put on the US sanctions list. Following this, Visa and MasterCard stopped working with the bank, while cards issued by the bank were blocked in one day. As a result, the bank decided to work with Asian payment systems. "The choice of an alternative foreign payment system, other than MasterCard or Visa, does not solve the problem of sanctions," says Yuri Bozhor, Otkritiye Investment bank’s Vice President and Head of the Cards Department. According to him, the situation around SMP Bank only confirms the correctness of the Russian government’s decision to establish a national system of payment cards as the only way of protecting domestic transactions. This month, Russia launched the National System of Payment Cards, where all payments, including Visa and MasterCard, are processed through the servers inside the country. According to the Russian daily Kommersant, UnionPay offers international clearing only in dollars, while dollar payments are not possible for the bank due to US sanctions. Payments in yuan are only allowed in transactions made in China. Japanese JCB offers payments in euro and yen, but the country joined the sanctions against Russia as early as in late April 2014. "Any person who is 'under US sanctions' is included in the OFAC (The Office of Foreign Assets Control) list. This means that US banks must freeze his assets and transactions, and, if there is a risk of 'indirect' participation of the person in any transaction, simply refuse to process it," says Konstantin Korischenko, the head of the capital markets and financial engineering department at the Russian Presidential Academy of National Economy and Public Administration (RANEPA). China UnionPay entered the Russian market immediately after the introduction of US sanctions against Russia in April 2014, and was joined in March 2015 by the Japanese JCB. By 2017, about 2 million UnionPay cards and 3 million JCB cards will be issued in Russia. Despite the problems SMP had, Russian banks are still willing to work with Asian partners. "You can work with anyone, if it has the advantage for the country or business," Bozhor says. He adds that Otritiye is open for cooperation with Asian payment systems.